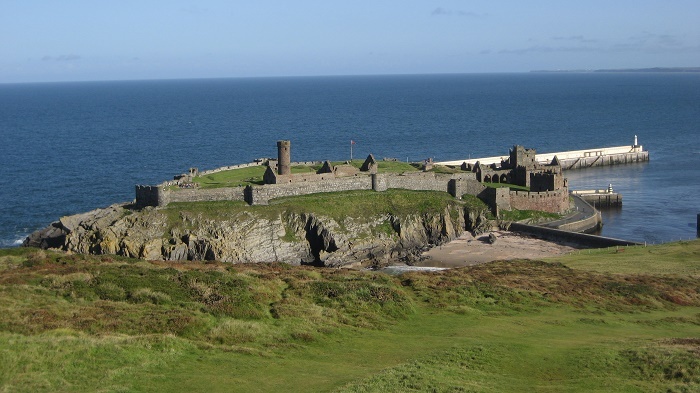 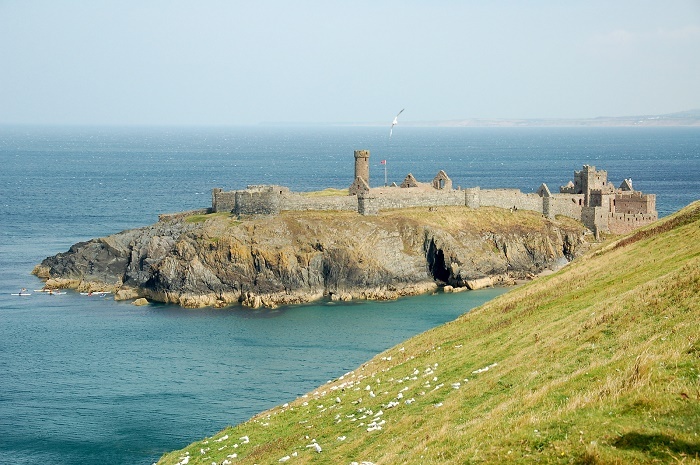 Peel Castle is a castle that stands on a small tidal island off the seaside town of Peel, which is part of the Parish of German of the self-governing Crown dependency in the Irish Sea, the Isle of Man. 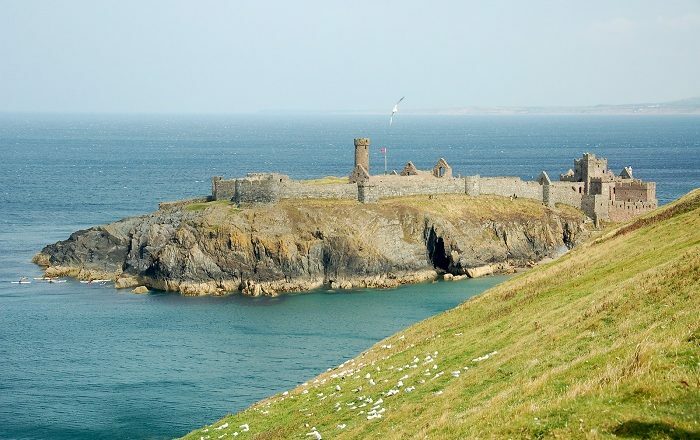 The small island, named after Saint Patrick, is connected to the town by a causeway, and it is one of the most interesting sites to be visited on the small crown dependency. 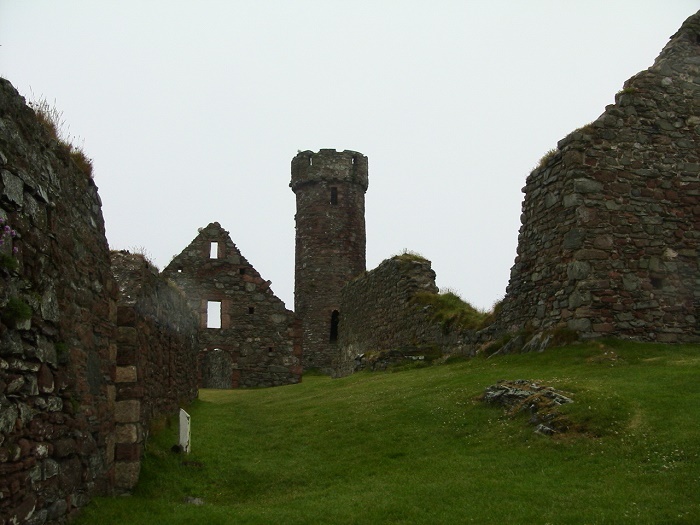 The construction is considered to began in 11 century, where originally it was considered to be a place of worship before becoming the fort of Magnus II of the Isle of Man, also known as Magnus Barefoot, which was later in 1392 developed more by William le Scrope, and most likely it was completed sometime in 1860. 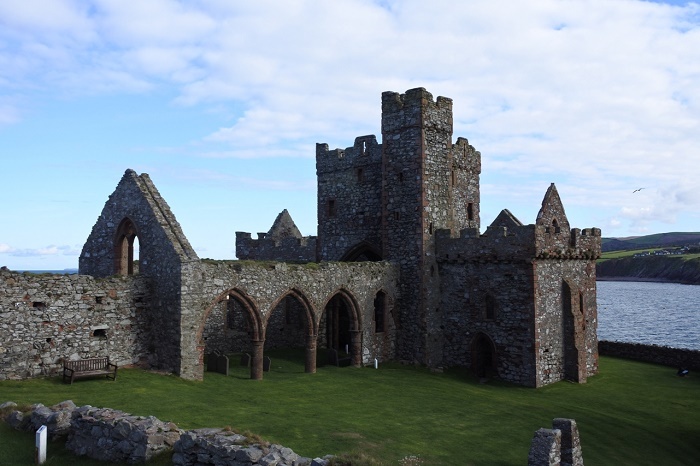 The first settlers in the area were actually the Vikings, who built their fortifications of wood, however, there were some other Celtic monastic buildings. 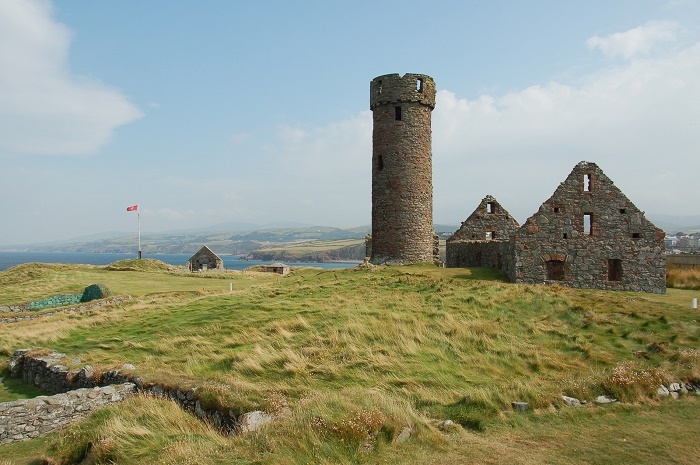 In the past, this impressive fortress was a royal residence, center of government and military stronghold, and with its prominent round tower and the battlements it was one well guarded and impressive architectural work. 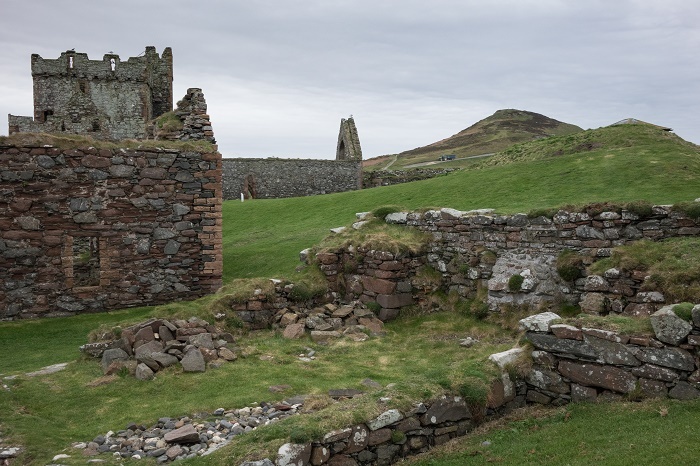 Built with local red sandstone, it was used by the Church as there was a Cathedral built inside the Castle, known as Peel Cathedral, which unfortunately was abandoned in 18 century. 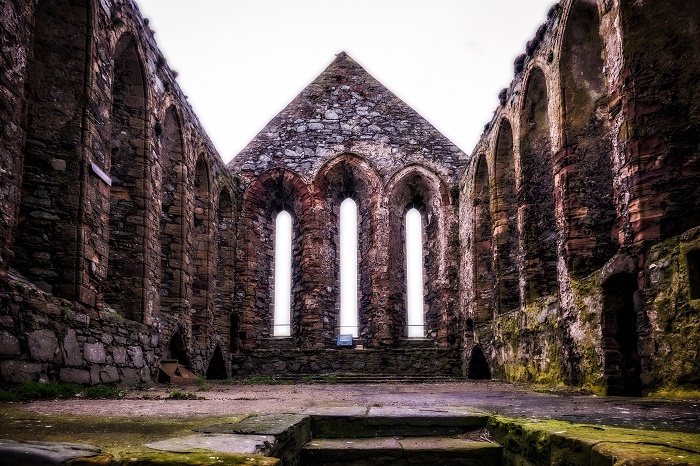 Nonetheless, the Saint German Cathedral is today in ruins, and as it is the case with the remaining of the castle grounds, the cathedral’s roof is completely missing, which is a bit difficult to restore it to the original as there is not enough evidence of how it looked before. 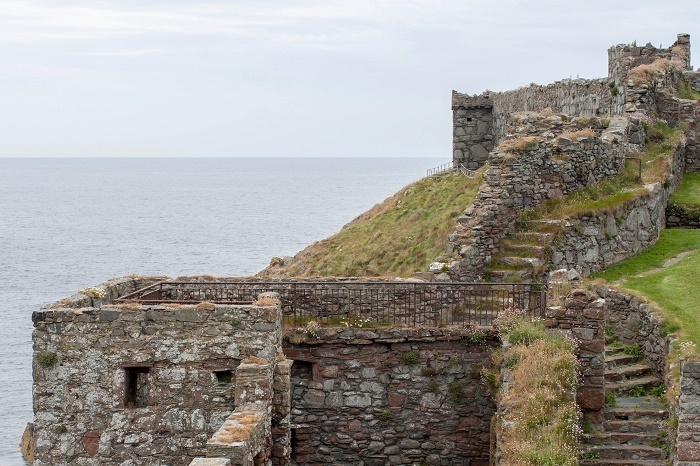 Still, it was needed some 200 years to complete it, and it is 10 meters (34 feet) long, 5 meters (16 feet) wide and 3 meters (10 feet) high. 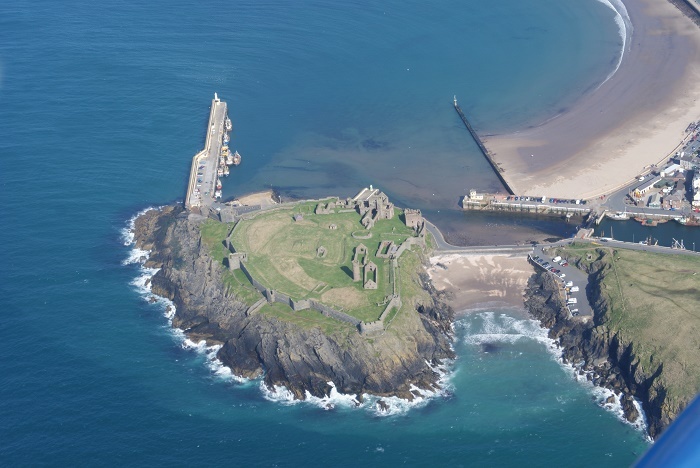 Most of the time Peel Castle is confused with Piel Castle in the northern part of the UK, however, it is believed that Peel Castle is the first place on the isles where Christianity was brought around 1226 by Saint Patrick. 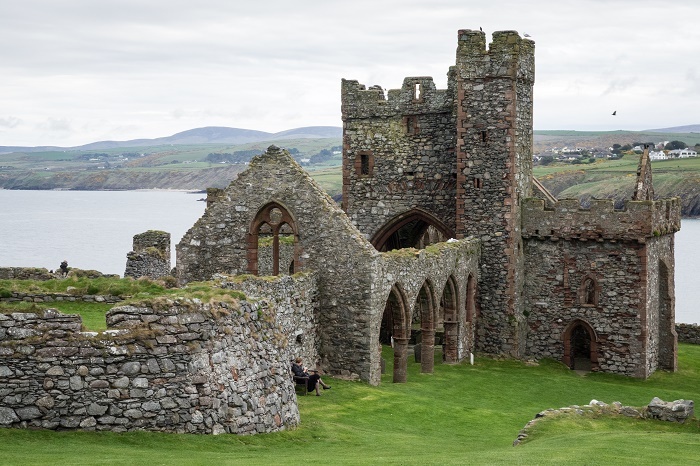 Being one of the most impressive historic remnants of the Isle of Man, the Peel Castle is covered in a thick blanket of grass, which is at its best during the warm months, when it is spring and summer, and with the walkways which are giving an extraordinary panoramic views of the ground and the surroundings, the tiny islet is sometimes considered to be the peak of those who visit Isle of Man.